Find out what the CML hosts are up to! Better Grades gives you tips on how to help your child excel in school. Katie Kelly joins the CML crew to share what's trending on social media. Find out what's cooking in the CML kitchen! Which Maritime music act is rocking the CML studio today? 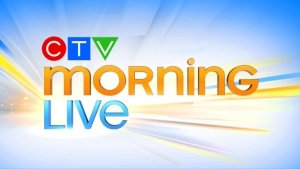 We love our pets at CTV Morning Live, and we know our viewers do too!